The mint julep is the official cocktail of the Kentucky Derby, and what could be better to make that with than Maker’s Mark Kentucky bourbon? Maker’s Mark contacted me to ask if I was interested in Kentucky Derby Cocktails made with Maker’s Mark. Well, you know me! I can’t say no to a good bourbon recipe, so I said yes. I was intrigued by the Strawberry Mint Julep Recipe that Maker’s Mark they sent to me, but I didn’t have strawberries in the house, and the amount of Maker’s Mark used in their cocktail recipe seemed a little too liberal for me. I do believe that sometimes you can have too much of a good thing, so tempered the Maker’s Mark Bourbon in my version. Muddle strawberries, mint leaves and simple syrup in mixing glass. Add Maker’s Mark and lemon juice and fill with ice. 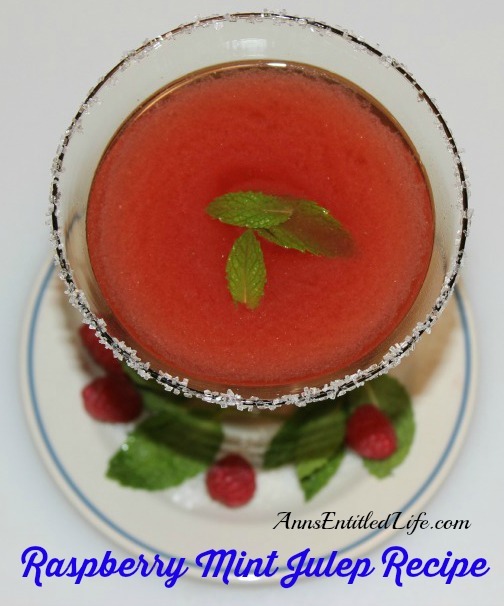 No matter what the season, this update on the classic mint julep recipe is infused with raspberries making for a refreshing, delicious Raspberry Mint Julep Recipe. 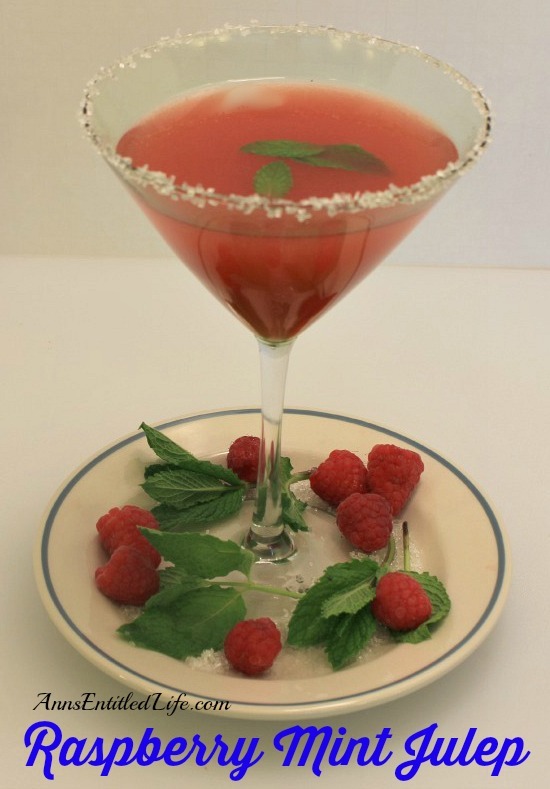 • Muddle the raspberries, mint leaves and simple syrup in a mixing glass. • Add lemon juice and Maker’s Mark; mix. • Double strain into a sugar rimmed martini glass. Disclosure: Maker’s Mark sent me the liquor used for this recipe.No further compensation was supplied. All opinions are mine and in no way influenced by Maker’s Mark.